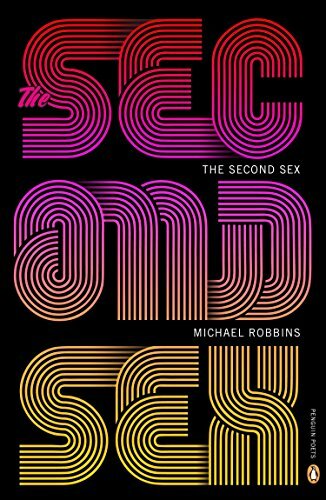 Michael Robbins is our contemporary poet laureate for beautiful sins of language. The New Republic calls Robbins a prankster. He rather reminds me of that whiskey priest, his lines by turns abrasive and aphoristic, but never apathetic. Robbins’s 2012 debut, Alien vs. Predator, set the mold for his poetic play, but I think Robbins’s center might reside in his criticism. In a review of theologian David Bentley Hart’s The Experience of God, Robbins punctures the silkscreened divinity portrayed by the New Atheists (they “ingeniously deny the existence of a bearded fellow with superpowers who lives in the sky and finds people’s keys for them”). At the same time, he says “showing up American fundamentalism is about as hard as shooting the deck of an aircraft carrier when you’re standing on it.” His problem, of course, is with literalism: the Word made flat. Critic Matthew Sitman has recently called Christian Wiman the “most important Christian writer in America.” Robbins, then, might be the most provocative Christian writer in America. For Robbins, the “incoherence” of naturalism “is the external warrant for my belief in God.” His one criticism of Hart is the theologian’s dismissal of the “possibility that our bafflement before ontological mystery is the result of our being the kind of limited animals we are. A badger cannot understand differential equations, but that tells us something about badgers, not equations.” It is refreshing to discover a poet critically concerned with God, and to do so with humor. will come and pull out his eyes. and we’ll all shout Surprise! Every day, black folks are forced to parse how we’re seen, how we’re not, and how we’re to rectify these regular affronts. Each of Levin’s inquiries is an entryway into fundamental questions about justice, care, and transformation. Each line is a mode of grasping at the truth. Some of you may know that I’m currently up to my ears in grad school applications. Luckily, posting on The Millions has a salutary effect on me, and also, I just finished a book, so I need to write about it. Jamesland opens with Alice, great-granddaughter of philosopher William James, having an odd waking dream of a deer in her house. Alice fixates on the deer as a portent of a coming change in her life, and the very next day her life begins to change slowly and inexorably. The book does not dwell on the supernatural, though it does have a bemused dialogue with the otherworldly throughout. Mostly it is about three forty-somethings whose social and professional lives are deteriorating and reconfiguring. I’d call it a mid-life crisis, but these characters have that quality, peculiar to Californians, of being youthful, unserious adults. The book is mostly set on the East Side of Los Angeles in neighborhoods that I know well. It was great to read a book that addresses a somewhat larger Los Angeles than usual. Movie stars are around, and Hollywood is nearby, but they are just parts of the great stew of the city, things that are noticed but after a while not accorded any greater importance than things like Griffith Park or the LA River. The only other book that I have read that successfully turns LA’s flashy side into just another bit of peripheral scenery is T.C. Boyle’s The Tortilla Curtain. Huneven is well-known in Los Angeles as the food critic for the LA Weekly, and the way she writes about food in this book is magnificent. Pete (who along with Helen, a modern sort of minister, are the other two wayward adults) is a former near-celebrity chef who is recovering from a nervous breakdown, suicide attempt combo. His character is both abrasive and charming, the type of person who makes you nervous the moment he steps into the room. As he coaxes himself back into the functioning world, he takes up cooking again, and this is the venue for Huneven’s descriptions of foods. It was nice to see that Huneven did not place this book firmly in the world of food and restaurants in the way that many writers tend to crib from their day jobs. Instead, Huneven manages to weave her knowledge skillfully into the larger narrative. The book itself is a rather satisfying meal, best taken over a few languorous days on a sunny balcony or sitting on a park bench. I didn’t expect to see the green book in our library here at Northwestern University in Qatar, but there it was, the 2007 volume of The Best American Essays, guest edited by the late David Foster Wallace, a book I read in Chicago a few years ago and now again in Doha. I had been living in the Arabian Gulf for about six weeks when I learned of Wallace’s suicide in September 2008. The tragic event received a good amount of newspaper coverage and, later, expanded magazine pieces in such places as The New Yorker. Some have called Wallace a postmodern writer, and others, dropping the ideology, claimed that he had serious qualms with modern obsessions and with the complacency and low quality of thought they reward. If the latter is true, then Wallace was part of an undercounted demographic of people who have sustained dissatisfaction with the ways things are and who doubt that things can actually change anytime soon. A thoughtful writer of Wallace’s sensitivity and cynicism does not address the problem in a straight line; instead he makes it the bezel of the narrative and even style so that it’s never far from the reader’s indirect attention. As an essayist and novelist, Wallace had a skilled hand at shrewd deconstruction—someone who can take apart, for example, cultural staples of leisure, like a county fair or cruise trip, to reveal what he sees as stifling banality that distracts and sedates. I’m a regular reader of the Best American series, but I generally skip reading the guest editors’ introductory essays, doing my best to avoid the word “Montaigne” and explanations of how the essay defies a crisp definition. But this time in Doha I went directly to Wallace’s introduction to see what I had missed, and there he mentioned Montaigne (Chesterton, too) and he remarked that “essay” is not his word of choice for what is really “literary non-fiction.” Still, Wallace’s piece turned out to be especially meaningful because he confronted some “bad news” about our times and supported it in his introduction with very clever meta-interpretation of the editor’s role, and he supported it more implicitly with his choice of essays. The 2007 green anthology has an urgency to it that goes beyond what is commonly said about thoughtful and well-written essays. The writers speaking in Wallace’s volume don’t do Disney. Rather, they confront the pathologies of our age that apparently won’t go away. I realize that three or four years isn’t a long time, but there’s something about this passage of time and its indolence (despite compelling promises of change) that speak about the collective lethargy that spooked Wallace and, actually, many others who live with their eyes open. Wallace admitted important essays into the book, including lengthy pieces on the war in Iraq; torture; the right to offend; Mel Gibson’s inebriation and anti-Semitism; warfare of neo-absolutists; the sexualizing of youth and the modern marketing imagination; rifles and race; a gripping narrative that is non-fiction, but you wonder about the amazing details that you would expect in omniscient third-person fiction; an imaginary letter from a real Darwinist to a phantom pastor; and personal essays about pain, music, and other such things. There’s also a piece on earth when it shakes and a Cynthia Ozick short essay on mysticism that’s not really believable. Still, the weight-bearing essays of the book, its abs, are really those that examine the “issues” of the very modern era and its listlessness, with a subtext that raises the pounding question about how these things passed public approval in the first place. Malcolm Gladwell has a piece on the work of a pet psychologist, which interests me for some reason, a rather thoughtful narrative about a dog and sensitive family dynamics. Gladwell’s piece does not throw the reader off-scent to the pathos that Wallace’s choices bring to the fore. Gladwell’s essay, in a way, brings indoors those global matters that the other essays probe. Most anthologies make no requirements of order. You can start anywhere with no consideration to your place in a narrative, if there is one. Wallace’s anthology, organized alphabetically, has a quasi-narrative kept related by a number of contemplative accounts of recent human blunders and their etiology. When taken altogether there’s something like an indictment in the black box, especially when you allow into the reading experience those events and non-events of the recent past—winners of an anti-war platform making more war; a thriving fear-Islam industry as a pretext for many disagreeable decisions that touch upon core issues, like privacy; debilitating debt to rescue debilitating debt; the blurred line between happiness and appetite, between what is important and what is popular; and the defeat of shame. For many reasons, I recommend the volume, which, in my view, is the most relevant of the Best Essays series. There are no pieces about the death of a goldfish as a pretext to dive into tendentious discussions about the theories of life and consciousness. Nor is there a reverie about a childhood hideout or one’s first encounter with a private part. If you’re worried that product placement of good ideas is the modern hope for truth and transcendence and are even vaguely sure that there must be a better way—a better discourse—then the voices of this volume will resonate. Postscript: Decades back, another author that I enjoy reading, John Gardner, died before he too was done with literature. In September 1982 he crashed his motorcycle at the age of 49. I have a vague, decades-old memory of standing before a glass case in the surprisingly elegant atrium of Morris Library of Southern Illinois University at Carbondale, looking at the cover of an SIU Press book of Gardner’s. For a while, Gardner taught at SIU, which is just a couple of hours south of where Wallace once taught, Illinois State University in Bloomington. The early 1980’s was probably the start of the inertia that many writers now comment about. The overrated activism of the 1960’s slowly gave way to the underrated idealism and pop culture of the 1970’s, which itself surrendered (after John Lennon’s murder) to the ethos of such things as Reagan’s trickle down theories of economics, which overly and foolishly trusted the collective greed of a people to take care of the spread of prosperity and relief for the underprivileged—a notion that confronts thousands of years of sacred tradition and its obligations of charity. Trickle-down economics did not create self-adoration, as some claim, but it promoted it as a virtue, almost part of economic patriotism. This probably infected many other notions, including the realm of high ideas: this notion of a passive and undirected development of enlightenment and responsibility.